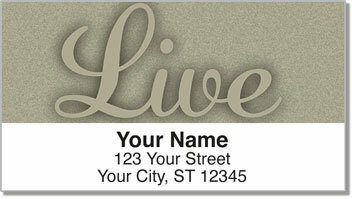 Inspire yourself and others with the straightforward messages inscribed on these personalized labels from CheckAdvantage. 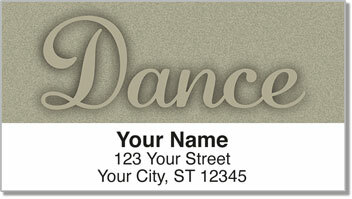 Our artist chose a simple, script-style font for this design to convey the idea that the printed sentiments-Dance, Live, Love, Sing-are, themselves, an outline for living. 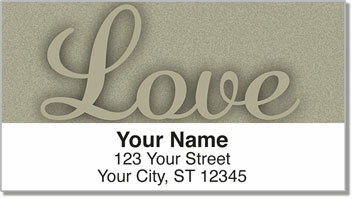 You'll love how they look on your packages and letters, but you can use them to identify other items, too. Best of all, this terrific design is also available in matching personal checks, so anyone you pay through the mail will know exactly where you're coming from! 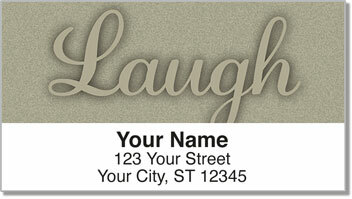 Order your very own Inspiration Address Labels and matching personal checks now!